‘We’re talking the Academy Awards (a.k.a. the Oscars), Grammys, Screen Actor’s Guild Awards, Independent Spirit Awards. Now that we’re “in it” it will be hard to town on the television or your computer without being inundated with news about who won what, who wore what, how to get a red carpet body, how to mimic red carpet beauty, the true story behind this movie, the real story of the rise to fame about this actress, and so forth. EVERYONE will be talking about Awards Season and all thing related to it. For months. Now back to why I love this time of year. Sure, I’ll be the first to admit that I love a good red carpet event – from the interviews to the style, and I cannot resist an inspiring or moving acceptance speech, but that’s not the only reason I await this season with excitement and anticipation. My business and buzz-building brain love this time of year because I know that if traditional media and social media will be creating endless stories and countless pieces of irresistible content rooted in all things Awards Season, if YOU can find ways to tie your business, brand, or expertise to it (which I’m about to teach you how to do) you will get a bit of the Awards Season spotlight as well. It might not be an Oscar, but this type of visibility can be translated into followers, customers, sales, trust, and validation, and more! If that sounds good to you, grab a bowl of popcorn or Junior Mints (my personal movie theater guilty pleasure) and dive into this list! 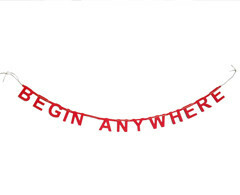 Remember, you don’t have to make every idea work for you. Just select ideas (or a singular idea – one is better than none) that are a good fit for your brand and bandwidth. *Disclaimer: Remember, though most of these ideas are publicity-friendly and pitch0-ready, their only “home” isn’t the media. These ideas are also perfect for social media posts (including Facebook Live & InstaStory/IGTV), your blog, and your newsletter. The platforms you can share your value on and connect with your audience the better! What expert advice can you make Awards Season-friendly? Ideas include: Fashion experts or style pros sharing: how to get the red carpet look for less or awards show looks for any body type, entertaining pros, and cooking experts can give tips on throwing the ultimate Oscars viewing party, health and fitness pros talking about red carpet body and health secrets and tips, beauty, skincare, and hair experts teaching people how to get a “red carpet look”, heck even experts like posture pros can talk about how to get perfect red carpet posture, and how it can take off the pounds in second! Once you determine what you’ll share in terms of your expertise, share it in multiple places including the “short lead” press like local/regional/national television shows who regularly share expert advice, local/national newspapers, websites, your own blog, and social media. No matter where you choose to share this insight I highly encourage you to post a quick video via Facebook Live, InstaStory, IGTV (or all three) share your tips as well. Video is where it’s at, people, and this is real estate you control! Don’t overthink sharing video, and don’t miss out on this powerful medium available to you (for free!) to connect with your audience as well as present and future customers and clients! Does your business offer something similar to what we all recently saw on the red carpet? Can you offer us the same look – or even the look for less? Perhaps you sell earrings similar to the statement earrings Regina King wore to the Golden Globes? Do you make beauty products that can help your customers achieve a red carpet look similar to what Lady Gaga has been spotted wearing? Maybe you’re a fitness expert like Nadia Murdock, and you teach a barre class that will give you glutes and legs we all thought were only possible on celebrities like Taylor Swift or Charlize Theron. If you can offer us whatever we’re seeing celebrities rock on and off the red carpet this Awards Season, let us know! Let us know where to buy it, find it, get it for the same price, get it for less, just tell us how to get our hand on it! And don’t just tell us! Tell the media that you’ve been pitching (or dreaming about pitching) that you offer something that is somehow tied to Hollywood. They may use it for an Awards-inspired story, or they’ll take note of it and you’ll be offering them some extra, high-value information when it comes to your business and offerings. Finally, don’t forget to include your Awards Season connection in your own blog, social media, or newsletter, and when appropriate, use the correct hashtags so this information reaches as many people as possible! Throw an Awards Show Viewing Party at Your Brick & Mortar Store/Restaurant or Host a Digital Viewing Party: Offer exclusive sale prices during the show and “door prizes” (whether in person or digitally hosting). Offer Winner-Dependent Discounts: For instance, if Roma takes the Oscar, you offer 25% your entire store for the next 24 hours, but if Green Book wins the Oscar you offer free shipping. Tag Us & Get Awarded: Invite your social media followers to tag you as they wear/eat/use your product while watching the awards, and “award them” with a special promotion. Add to this strategy by creating a special hashtag they can use so that they can see other posts like theirs such as #SabinaKnowsOscarsParty or #BrettLaurenOscarsBling. This next tactic is less obvious but can still be very high impact if you are an authentic fit for it. This strategy asks you, “Can you relate to and speak to any of the themes or stories that the nominated shows and movies are about?” If you can, it’s time to share that story with the media (and on your own platform) as well as share anecdotal advice or insight born from your experience or story. For instance, maybe like the Marvelous Mrs. Maisel you are a female stand-up coming and can talk about what that life is like, or perhaps like Mrs. Maisel you’re a divorcee who completely changed her life and career after marriage. Are you a historian who can speak to the true story and history behind the “Green Book”? (Fact: This was a real thing, my friends, look it up!) Maybe you’re a singing instructor and can talk about A Star is Born while giving advice to aspiring singers in your community? 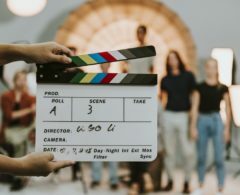 The opportunities for this are as varied as the potential nominees this Awards Season, but your two keys to success will be whether you can truly relate to the story when it comes to tying in your own story and expertise and whether you can provide value to the specific audience you’re sharing it with. If done correctly, this sharing of your own personal story and connection can win you fans and customers for life! It wouldn’t be an Awards Season without the Press for Success team and me being inundated with asks when it comes to getting your products, accessories, fashion, food – you name it – to the nominees. Is it possible? You betcha? Is it hard? I’d say less hard, more requiring strategic action! If this is something you’re interested in, I encourage you to dive into my video class “How to Get Your Product to Celebrities” ASAP and making that action happening before Awards Season passes us by. Purchase it and stream it immediately, or join our (commitment-free) monthly All-Access membership and watch it at nearly half the cost + score all the other juicy benefits membership offers! Show Us Your Strategies in Action! If you decide to take action on one of the strategies I’ve taught you, I’d LOVE to see your PR and marketing moves and celebrate them with you. Be sure you share your story by commenting below this blog post, tagging me on social media (@sabinaknows, @pressforsuccess) or emailing us your story to sabina@sabinaknows.com. I can’t wait to hear about the Awards Season buzz you’re getting! My days of downing morning coffee are long behind me (tear) but that doesn’t mean I can’t work with a mug of tea next to me that delivers a jolt of happiness every time I glance at it. 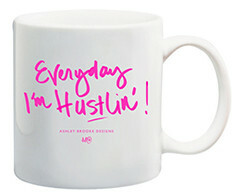 My current favorite mug is this beauty from Ashley Brooke Designs that reminds me to “get it done” and keep on moving forward. Pick from this ABD style or several others in her online shop. What’s your phone charging situation? Does it bring you joy? Does it save your phone from being squashed when it’s charging on the floor? Does it add utility and fun to your old, boring plug? Well it should. 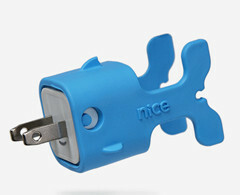 And it can, if you snag one of Nice by Design’s “CableKeeps”. Not only do they up the design and function quotient, but they’re made with non-toxic, easily recycled materials! For years my home office faced a quandry: I wanted greenery and life in it, but I lacked the time and green thumb to make that possible. Then succulents entered my life. Beautiful, easy to care for, and more varieties, colors and styles than you probably realize! 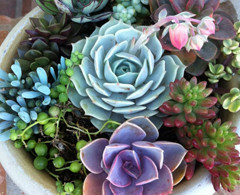 My go to source is Succulent Oasis on Etsy, who provide a large assortment of these beauties and will ship them safely to you. The moment I discovered Banter Banner I was hooked. Just like the founder of this sassy design company, I’d like to think that every day calls for a little celebration, and I love finding new opportunities and goodies to inject joy into my life. That’s exactly what these banners do. Pick out one of her inspiring (or funny) options or customize one of your own! 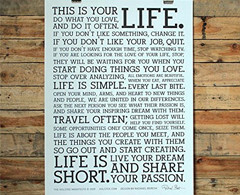 This poster hangs above my desk and houses a motivational quote that I suggest you make your morning battle cry. Sometimes I read it quietly to myself for a pep talk! Surrounding yourself with reminders like this allows them to seep into your mind, and making sure you don’t forget to do what makes you happy, live without regrets and really embrace this magical adventure we call life. Creating a sanctuary for success means you’ll need to court all your senses in order to create a mood for manifesting greatness. 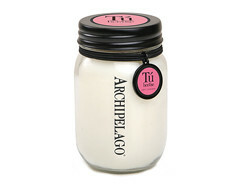 One of my sensory paths to peace and favorite ways to set the mood for creating is a candle and my “go to for glow” is the Archipelago Tuberose Mason Jar candle. It smells fresh and floral, burns for 70 hours and helps create a relaxed and beautiful atmosphere that welcomes me to work. Meet Archimedes, my office mascot. Sure, the space where you work needs to keep you calm, clear, focused and joyful but let’s be honest, you also need a little something whimsical in the mix! The moment I passed this baby in a local home design store I knew he had to come home with me. How could I pass up a crowned squirrel? 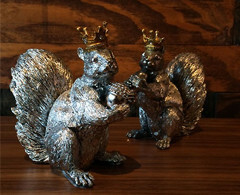 Snag your own squirrel – or another fun office mascot – over at A & G Merch online! Take me to my mascot!